Not long ago a patient asked me for help with a skin care product that she normally obtained here, but had purchased on-line when we were out of stock. She was having difficulty with the dispenser and was frustrated and asked me to to see if I could get a replacement for her from the manufacturer. Well, it turned out that the product was counterfeit and that was why the packaging was inferior. The problem, however, extends well beyond packaging. The problem, of course, is that you don't have any idea what is in the package. I would strongly advise that before you buy any cosmetics, skin care products, or fragrances, for that matter, on the internet, that you check with the manufacturer to make sure that the seller is an authorized dealer. The FBI has issued warnings because dangerous ingredients have been harming consumers. Please know that the skin care brands we carry: NeoCutis®, Meg 21 from Dynamis®, and Revision® (with the exception of Teamine) are never available legitimately from internet sources. If you find these online they may be expired, or counterfeit, or obtained illegally and there is no way of knowing which. Jane Iredale Skin Care Makeup does allow internet sales of its products but closely monitors these sellers. © Photo courtesy of the Federal Bureau of Investigation. The Federal Bureau of Investigation has released a recent report urging consumers to take caution and when purchasing cosmetics. 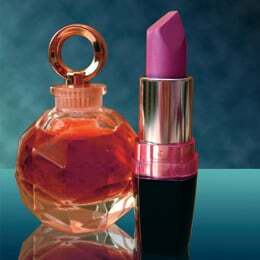 A number of counterfeit cosmetics are being sold everyday and the number of products is only increasing with Internet sales. The National Intellectual Property Rights (IPR) Center is a partner of the FBI and they want you to know that a variety of counterfeit cosmetics and fragrances in the U.S. is on the rise, according to law enforcement. The Internet has increased access for these phony products and they may be more common than you think. Some of these phony cosmetics can often contain ingredients like, arsenic, beryllium, and cadmium along, and high levels of aluminum and bacteria. Counterfeit fragrances have been found to contain DEHP, classified by the Environmental Protection Agency as a probable human carcinogen. Sometimes these phony perfumes can contain human urine. All of these ingredients have been known to cause many types of skin irritation and conditions such as acne, psoriasis, and rashes. They also can cause eye infections. There's not a typical profile of group or individuals selling these products. Some sellers on online auction sites and other web sites might not even know that their products are counterfeit. Packaging is slightly different from the authentic brand. Product is offered as "limited edition" even though the authentic brand never offers limited edition products. The product's consistency or texture does not feel or look like the authentic brand. For fragrances, the scent is a little different or the fluid might be a different color than the original. The products are being sold by a non-authorized retailer at flea markets, mall kiosks, and over the Internet. The FBI wants the public to help them track down these phony products and the people that sell them illegally. If you believe that you have purchased a counterfeit cosmetic or fragrance, or if you suspect someone of selling counterfeit items, you can submit a tip to the National IPR Center.